Poured from a 22 oz bomber into a snifter. The color is coppery red, slightly hazy in appearance. 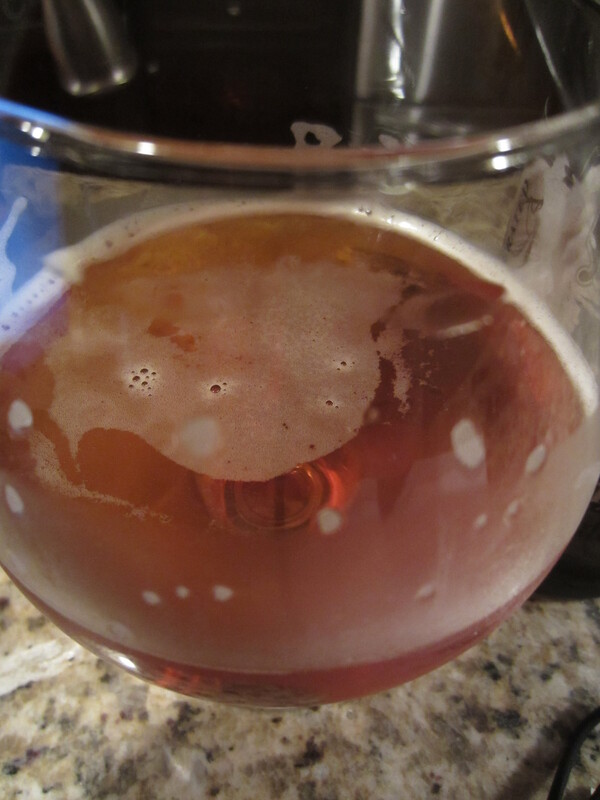 A thin off-white head is poured, which dissipates quickly and leaves little lacing. 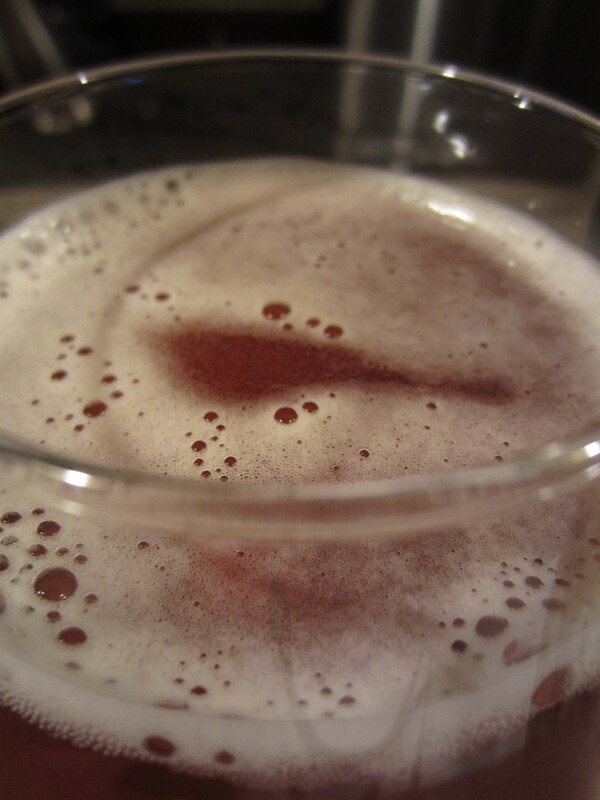 Medium carbonation is visible. 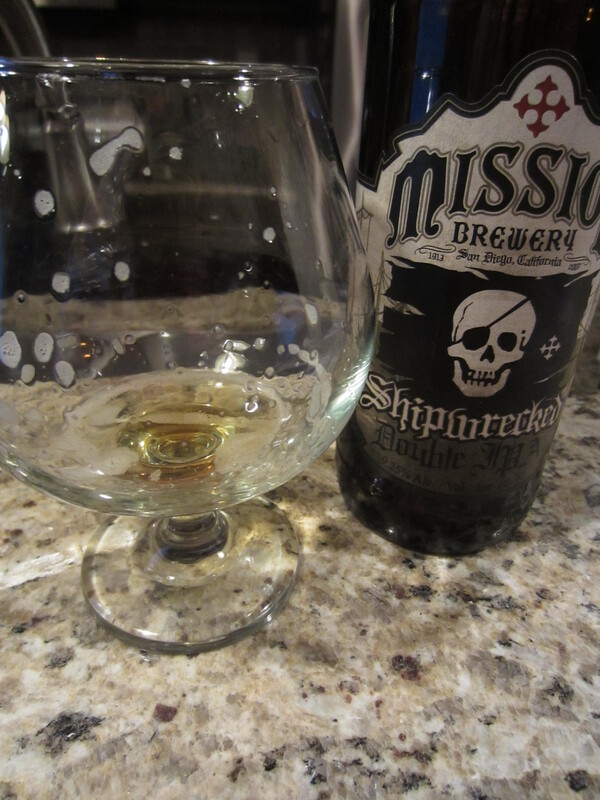 Shipwrecked’s aromas are very malt forward. Caramel sweetness is dominating the aroma profile, and the hop character of the beer is muted. Faint grapefruit dank is about all I detect from the hops. There is also some alcohol booziness as well. 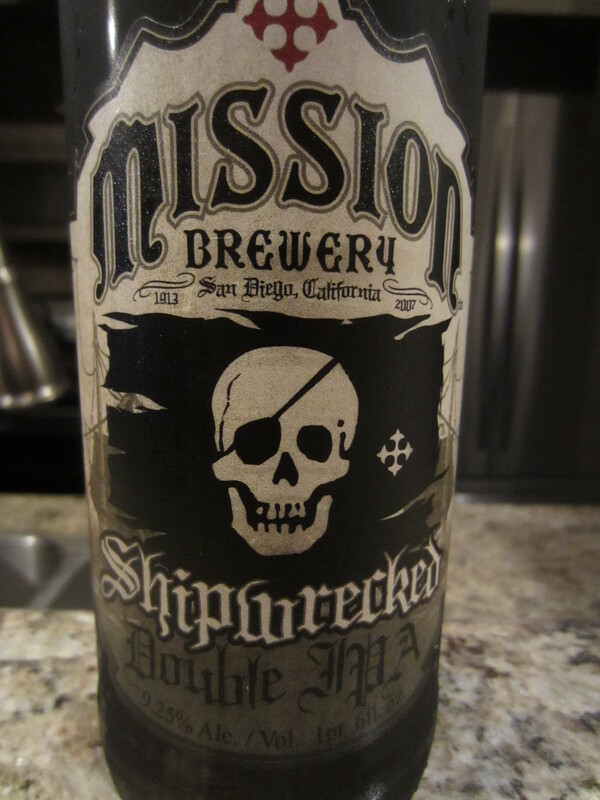 A substantially rich bodied beer, Shipwrecked is surprisingly smooth going down. Little carbonation or bitterness is present, and what is there is overshadowed by syrupy caramel/toffee sweetness. It is in the aftertaste the some Double IPA characteristics really come through, as some lingering grapefruit hop flavor mixes with the heavy sweet malt profile. Again, there is also a noticeable tinge of alcohol present. Pretty much every characteristic of this beer screams barley wine. The hops take a backseat to the big malt character. It is really out of the style in its presentation, and though I can’t find a freshness code on the bottle, I doubt it’s old enough to account for a transformation of the magnitude it would take to take this from “in style” to out. It isn’t a bad tasting beer, but definitely not what is expected for a Double IPA. Due to that, I find it hard to give it a good score. 6/10. 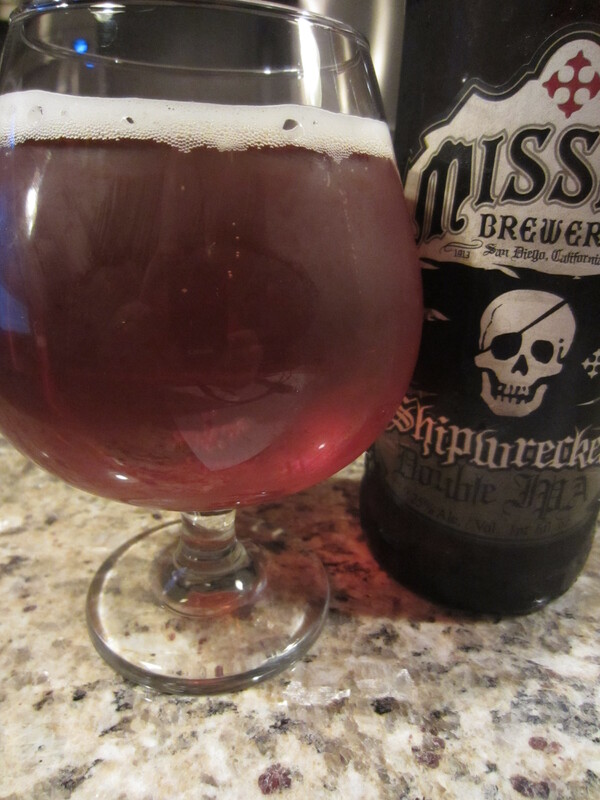 I just had a bottle of the shipwrecked and had very similar thoughts. A small amount of the CTZ on the nose, and huge maltiness in the flavor. Even though it has a high malty sweetness, it does go down pretty easy. All the IBU’s do not present themselves. After 12 ounces, all I feel is a bit woozy and no lingering bitterness or resin on the tongue.